In a new translation, authorised by the author's daughter, The Salt of the Earth is a strongly pacifist novel inspired by the Odyssey, about the consequences of war on ordinary men. I found The Salt of the Earth a captivating read. 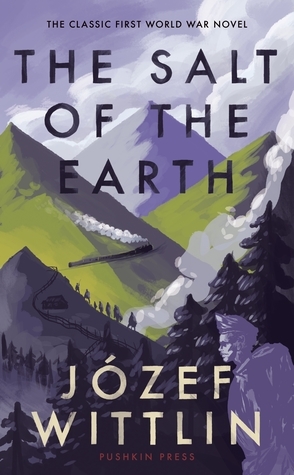 I loved the narrative prose style and adored the characters, especially Piotr. It is a tale with an important message on war, yet it is also a beautifully written story of a man ripped out of his familiar world and tossed into another. It's a shame Wittlin never got to finish the trilogy, as when the book ended I was sad not to know how things would work out for Piotr. Would he make it through the war and get back home? Overall, I would recommend this book to literary fiction readers as it is a wonderful piece of writing that really deserves more attention.